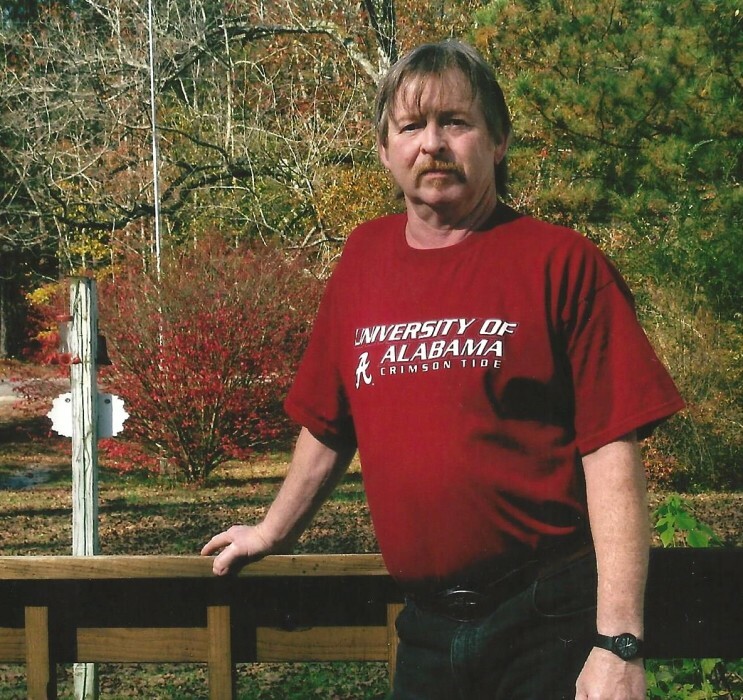 Ohatchee – Funeral services for Mr. Randall L. “Randy” Spencer, 66, will be held on Saturday, July 28, 2018 at 1 p.m. at Anniston Memorial Funeral Home. Lance Reaves and Scott Nichols will be officiating. Burial will be held in Anniston Memorial Gardens with military honors. The family will receive friends at the funeral home one hour prior to the service on Saturday. Mr. Spencer passed away on Wednesday, July 25, 2018. Mr. Spencer is survived by his sister, Melody (Ron) Reaves; two nieces, Lori (Chris) Weathington and Peggy (Scott) Nichols; three nephews, Lance Reaves, Fenn Spencer and Ed (LeAnn) Noles; several great-nieces and great-nephews; one sister-in-law, Lisa Spencer; his best friend, Craig “Fred” Harris; and his four-legged “children”, Jenny, Tevi, Crissi, Bambi and Alli. Pallbearers will be family members and friends. Mr. Spencer was a devoted and passionate Alabama fan. He absolutely loved Alabama football and enjoyed watching them play every chance he had. Mr. Spencer retired from the Anniston Army Depot where he worked as a tank mechanic. In his spare time, he had an avid hobby of building model tanks and displaying them in his home. Mr. Spencer loved his country and was a very patriotic person. He served in the US Army during the Vietnam War Era and was proud of his service. Mr. Spencer was preceded in death by his parents, George and Frances Spencer; and one brother, Steve Spencer.